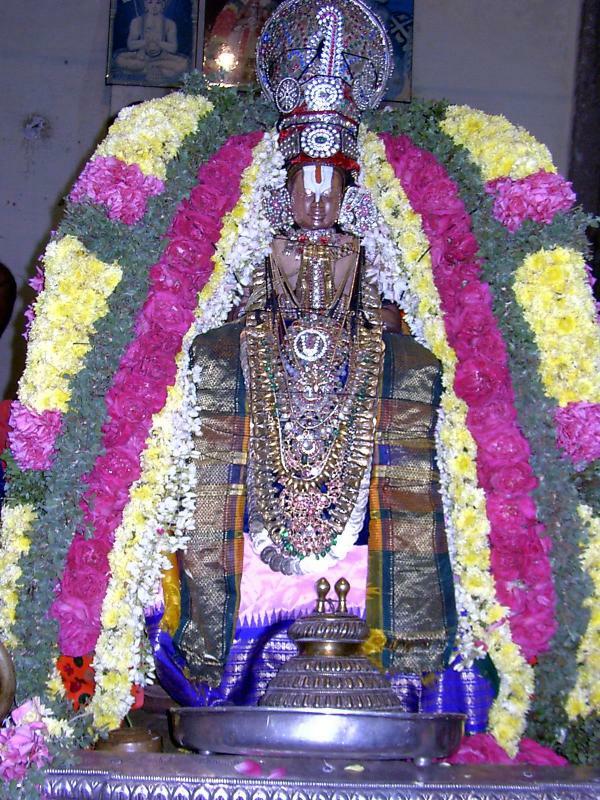 aippasi (thulA) mAsam (month) is very special for srIvaishNavas. The reasons are many. Let us see some of the wonderful aspects of this month and prepare ourselves for a great time ahead this month. mudhalAzhwArgaL (the first 3 AzhwArs - poigai AzhwAr, bhUthathAzhwAr and pEyAzhwAr) appeared in this most auspicious month. They appeared in the dhvApara - kali yuga sandhi (overlay period) and laid the foundation for the other AzhwArs to follow. It is due to this reason, aippasi is glorified as the first month of the year for srIvaishNavas - as this month facilitated the first AzhwArs arrival which lead to the most glorious wealth we have - dhivya prabhandham which is also known as aruLi cheyal. mAmunigaL, in his upadhEsa rathina mAlai, greatly celebrates the appearance of mudhalAzhwArgaL who were divinely blessed with blemishless knowledge by srIman nArAyaNan out of his causeless mercy purely for the upliftment of jIvAthmAs. The other glorious aspect is - just like this month is the beginning for the glorious dhivya prabhandham tradition, this month also carries the auspicious appearance day of mAmunigaL - who is considered as the one who completes the OrAN vazhi AchArya paramparai. 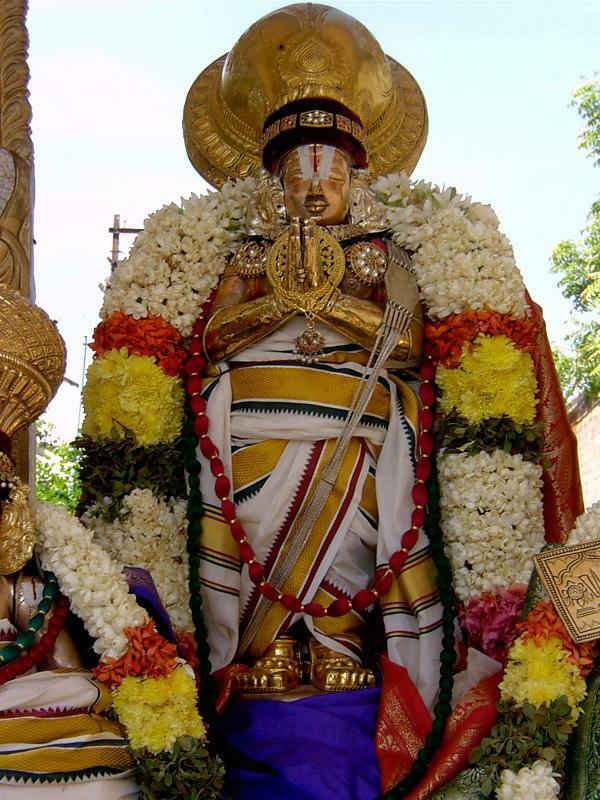 On the auspicious day of aippasi thirumUlam, emperumAnAr re-appeared as mAmunigaL with the total focus to spread the glories of dhivya prabhandham and its vyAkyAnams. 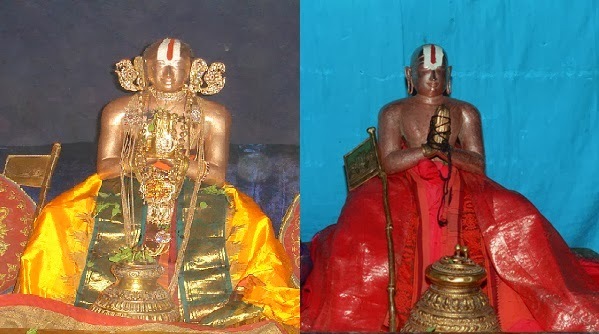 srI rAmAnuja was an expert in both thamizh and samskritha vEdham/vEdhAntham, but he spent his time establishing srIman nArAyaNan's supremacy through the samksritha vEdham and vEdhAntham. 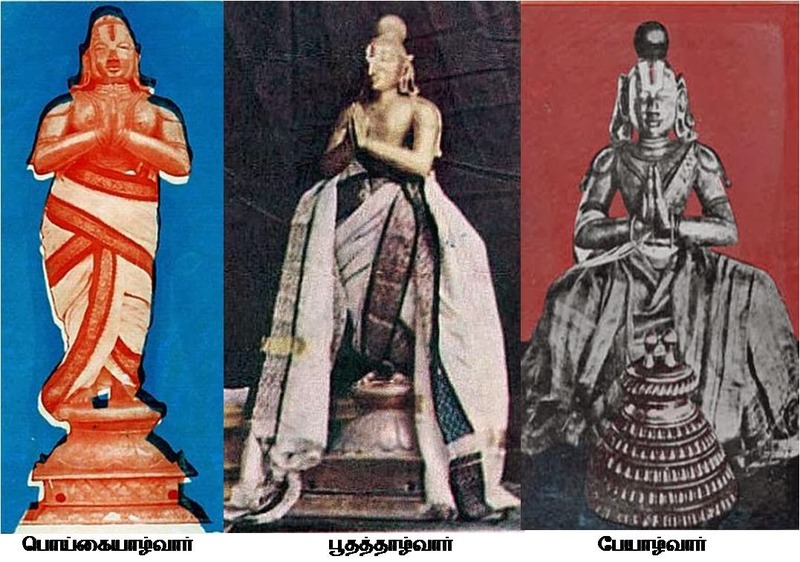 In his punaravathAram (re-appearance) as mAmunigaL, obviously with similar expertise in thamizh and samskritha vEdham/vEdhAntham, he fully spent his time establishing the glories of thiruvAimozhi (and other dhivya prabhandhams), vyAkyAnams (eedu, etc) and rahasya granthams (confidential matters). Let us now briefly enjoy the glories of pUrvAchAryas who appeared in this auspicious month of aippasi. sEnai mudhaliAr (aippasi pUrAdam) is the commander-in-chief in srIvaikuNtam and the third AchArya in the OrAN vazhi AchArya paramparai. 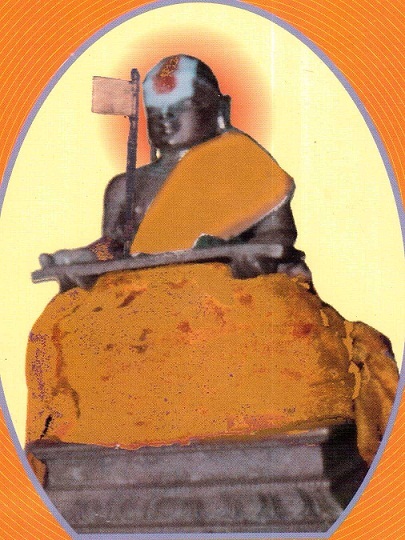 poigai AzhwAr (aippasi thiruvONam/sravaNam) explains that bhagavAn is ubhaya vibhUthi nAthan (the owner of both spiritual and material worlds) in the first pAsuram of his mudhal thiruvanthAdhi. bhUthathAzhwAr (aippai avittam) explains that bhagavAn is none other than nArAyaNan in the first pAsuram of his iraNdAm thiruvanthAdhi. pEyAzhwAr (aippai sathayam) explains that bhagavAn is srIman nArAyaNan (divine consort of srI mahAlakshmi) in the first pAsuram of his mUnRAm thiruvanthAdhi. 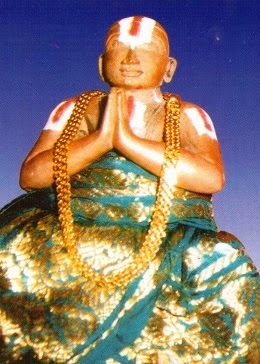 pinbhazhagiya perumAL jIyar (aippasi sathayam) is one of the dear sishyas of nampiLLai. He was greatly attached to serving nampiLLai here in srIrangam even at the cost of giving up paramapadham. He is the author of 6000 padi guru paramparA prabhAvam. naduvil thiruvIdhi piLLai bhattar (aippasi avittam) is a descendant of kUrathAzhwAn and he becomes a dear sishya of nampiLLai. 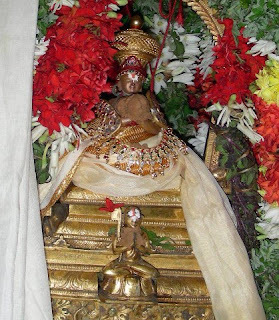 piLLai lOkAchAryar (aippasi thiruvONam/sravaNam) is an incarnation of dhEva perumAL himself and he appears as the divine son of vadakku thiruvIdhi piLLai by the mercy of nampiLLai. He is the most merciful AchArya who clearly documented the rahasyam granthams. His mumukshuppadi, thathva thrayam and srIvachana bhUshaNam are considered as kAlakshEpa granthams and they are filled with the essence of sath sampradhAyam principles. mAmunigaL wrote commentaries for these 3 important granthams which extract the essence and explain the principles in the most beautiful manner. kUra kulOthama dhAsar (aippasi thiruvAdhirai) is a dear disciple of piLLai lOkAchAryar. He was instrumental in reforming thiruvAimozhi piLLai and grooming him as a leader for our sampradhAyam. 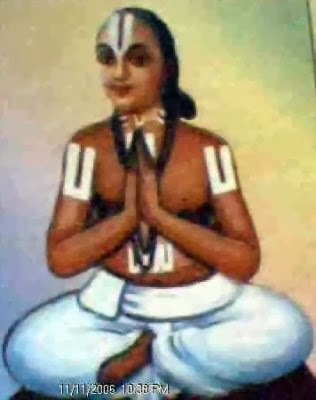 viLAnchOlai piLLai (aippasi uthrattAdhi) is a dear disciple of piLLai lOkAchAryar. 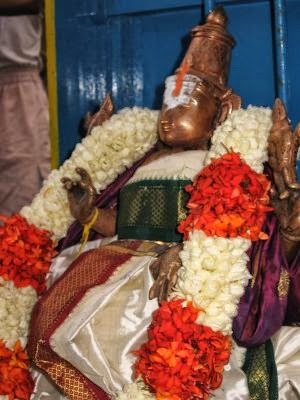 He was serving in thiruvananthapuram and he teaches srIvachana bhUshaNam and other important principles to thiruvAimozhi piLLai. 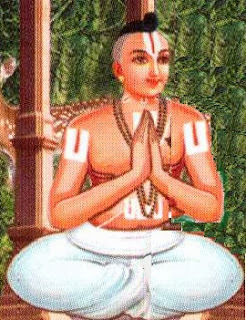 He is the author of the divine thamizh prabhandham named saptha kAthai which explains the glories of AchArya as seen in srIvachana bhUshaNa dhivya sAsthram. Ay jananyAchAryar (aippasi pUrAdam) is great scholar from thirunArAyaNapuram. selva nAraNan emperumAn affectionately considers him as his own mother due to the special attention given by Ay jananyAchAryar towards emperumAn. He meets with mAmunigaL and explains him AchArya hrudhayam principles. mAmunigaL and Ay jananyAchAryar had mutual admiration and respect for each other. 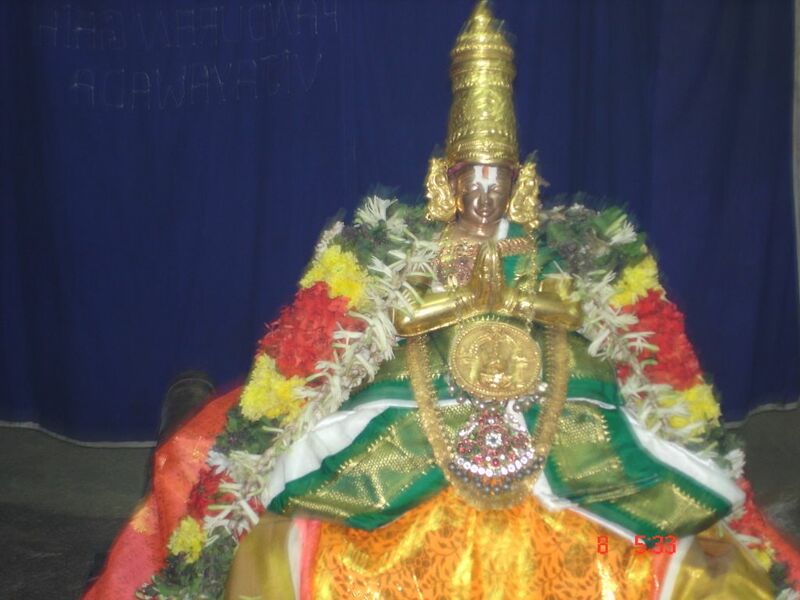 maNavALa mAmunigaL (aippasi thirumUlam) is the most merciful and divine AchArya of our sath sampradhAyam. srI ranganAthan himself accepts mAmunigaL as his AchArya with great affection. He is also known as periya jIyar and is glorified as visathavAk sikAmaNi (the crown jewel among the ones who have great control/command over divine literature). eRumbi appA (aippasi rEvathi) is one of the prime disciples of mAmunigaL. He has authored pUrva dhinacharyai and uththara dhinacharyai explaining the divine activities of mAmunigaL. He has also authored a beautiful grantham named vilakshaNa mOksha adhikAri nirNayam which clarifies many of the doubts one may have after studying the in-depth principles in our sath sampradhAyam. 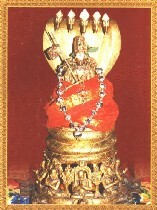 srIperumbUthUr Adhi yathirAja jIyar (aippasi pushyam) is the first jIyar of srIperumbUthUr mutt. From his thanian, we can understand that, he had divine relationship with mAmunigaL, ponnadikkAl jIyar and other great AchAryas. As we see, there is so much vaibhavam in this month and there are very many wonderful uthsavams at various dhivyadhEsams fully focussed on AzhwArs and AchAryas. In this series of articles, let us see the glories of our pUrvAchAryas who were born in this month and their works. Please view http://koilathan.wordpress.com/6-aipasi/ for similar information in thamizh by kOil AthAn kasthUri rangan swamy.